In April 2016 CDS dedicated the “The Hayes Family Gymnasium,” phase one of the school’s “Center for Student Life." The gymnasium is used by all grades 1 - 10 for PE classes as well as middle school and high school athletic teams. 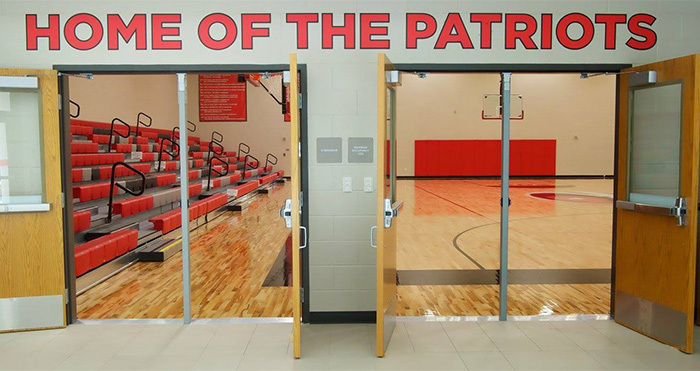 The more than 11,000 square feet of playing space in the massive gym can be divided by a motorized roll-up divider curtain and has room for two regulation size basketball courts or three full-size volleyball courts. Bleachers emblazoned with “CDS” provide seating for 498 fans. The facility also includes a spacious fitness center and offices for the athletic directors and secretary. The modular building that was previously used for the weight room has been moved adjacent to the new gym and provides office space for coaches and the PE faculty as well as locker room facilities. 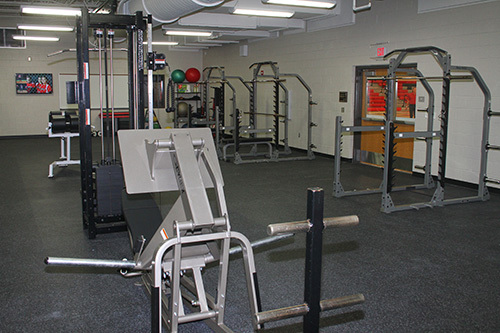 The Athletic Department has established specific rules and regulations for use of the gym and fitness center. All members of the CDS community and visitors are expected to comply with these standards. 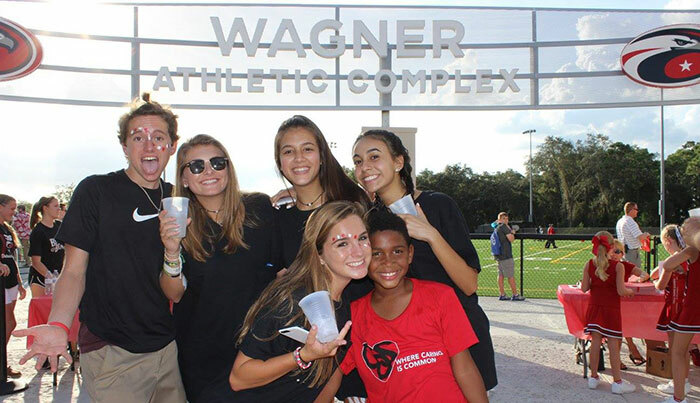 The start of the 2016-2017 school year heralded the opening of the Wagner Athletic Complex, Carrollwood Day School's new athletic fields. This complex, located next to the gym, provides a true home field advantage for the football, soccer, and baseball programs. The athletic field complex consists of three turf fields. The fields are also used for PE classes.